Something very odd has been happening in ukulele social media circles lately. For some time the ukulele community has been plagued with the 'you can't do that brigade', but some now seem to have taken a dislike to any music that is not played in the style of their preference. It's one thing telling beginners that they 'can't use a strap' that they 'can't use a pick' or 'you must use these strings', and in a sense their constant drum beating in that regard is rather amusing (if tiresome). But it's quite something else when they start sending public and private messages telling performers they are 'an embarrassment to the ukulele community'. You heard that right. That actually happened. 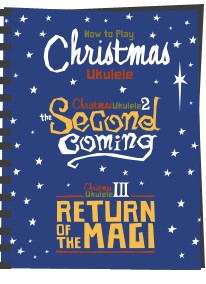 Now, for some time I have been wanting to get hold of this imaginary rule book that tells people what they can and cannot do with a ukulele, but it seems that it's had a new chapter added - 'What you can and cannot play'. It's a staggering concept - that the ukulele is only built for one style of music. In fact I blogged on the subject before which you can read here. This post is not intended to go over that again (just read the post). 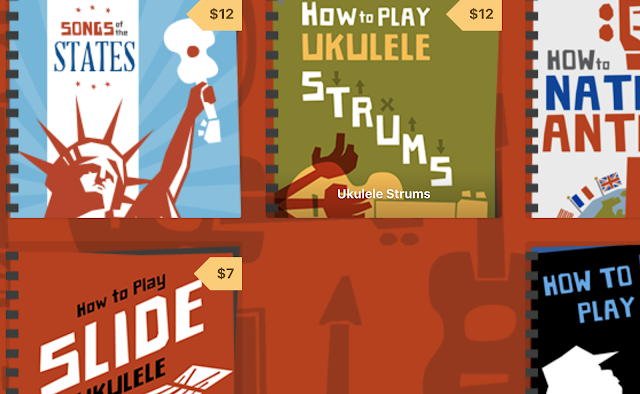 Rather, it's here to showcase some of the great variety that is out there on the ukulele that sits far away from the norm. In fact, I would rather spend my time watching videos like those below than the lift musak that is Jake Shimabukuro or endless ukulele clubs, all dressed the same and all playing Wagon Wheel or Folsom Prison Blues with exactly the same strum patterns. Embrace different styles people - it's all music. I am not saying you MUST like any of it (tastes differ), but please, don't ever dare to suggest that it is not ALLOWED, brings 'shame' or 'let's down' the imaginary community you seem to have elected yourself to the committee of by saying so. So here come the ukulele videos! First up, the video that caused one group of ukulele players to suggest that Robin Grey had brought 'Shame on the ukulele world'. That's right. Shame... Oh please..
Next up a band I'd love to see perform live. Any song that uses the term 'Bum Head' is ok in my book. The purists must surely despise punk on a ukulele? So you get the idea. 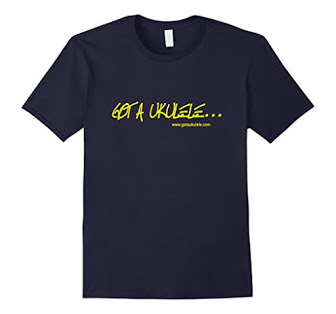 Hawaiian aloha mahalo stuff is fine, but it's not the be all and end all on the ukulele. The uke is a tool. A musical instrument and surely the fun comes from seeing people try something different. I'd never dare to suggest you 'can't play that on a ukulele'. You can play what you damn well like. Last year when I blogged on this topic I ended up in a 'debate' online with someone with who I was trying to get to the bottom of. You see they had something against anything different, loud, rock etc on the ukulele. What about blues I asked? Oh yeah, that's fine. What about country? yeah thats fine... And so it went on. An imaginary list being built in their heads as to what was and was not allowed. What they were actually listing was their personal tastes and making the mistake that their own tastes in any way mean something to another player with their own instrument. I get the importance of tradition and keeping the old styles alive. But there is plenty of that about and just because someone plays rock or something far out on a ukulele is not a threat to tradition in any way. And before you want to claim someone has 'brought shame' or 'embarrassment' on your beloved community - tell me - who put you in charge? STOP PRESS - I don't like doing stop press additions to opinion pieces like this one, but I felt this was worth saying. Had a couple of comments today suggesting I am being hypocritical by posting this and also saying that I don't much care for Jake S. I found that comment odd, but it was worth adding this to state that it precisely describes the difference I am talking about. I don't care for Jake and that is just MY opinion (as is my right). What I am talking about here would be akin to me messaging Jake and saying 'Jake - you are an embarrassment to ukulele players - Bohemian Rhapsody should NOT be played on a uke'. World of difference! This is not about tastes - we are all entitled to those. Just don't go the extra step and impose your tastes on others as if they are rules! I now purposely played obscure songs on my uke just to see the reaction from the uke sheep. I am a heratic and will be burnt in a big wicker uke on Summer Isle some time soon if tjr uke police catch me. As someone who took up ukulele after watching Gus and Fin cover a Wire song on YouTube, I wholeheartedly agree! I commented on this with my last newsletter - prompted by your Facebook post. I agree, but jeez.... who are you hanging out with, anyway? Anyone in my circles who would be foolish enough to say something like that wouldn't last long on the invite list, you know what I mean? The uke community, like any other group, has those members who are bright, imaginative, creative, ... and those that say ridiculous things. rhanw - as part of researching behind keeping this blog comes an awful lot of reading around on social media sites - the people I choose to hang around with on a personal level would never say anything so crass.. But there are plenty out there that do. I too find it frustrating to go to Strum after Strum of different Ukulele groups and the play and SHARE all the SAME OLD SONGS. My wife and I like to play more current pop or obscure songs by Train, Bruno Mars, EchoSmith, Plain White-T's etc...and people look at Us like we just played a song from a Satanic Sect. or worse yet... AC/DC (haven't actually done that yet, but...). This unwritten rule within the "Ukulele Community" to ONLY play OLD and unfamiliar "Ukulele Music" actually keeps Us youngters (50ish) and our even younger students from feeling welcome to join and contribute a more diverse brand of music to the Ukulele community. Younger players like Taimane Gardiner, Andrew Molina, Kalei Gamiao or Brittni Paiva are more reflective of the younger generation of Ukulele Artists, that often think outside the box of what a "typical Ukulele perormance" can be. While they still play and respect the songs related to the Ukulele's heritage, I think they balance that with performerances of music from genres and more current songs, that can show that the Ukulele can be an instrument with no "rulebook" or set limitations. With all that being said and commending you for your efforts in this article, I do feel that a recent article posted by you regarding "using your forefinger" and your obvious disdain toward the use of a capo, is HYPOCRITICAL. It came across as you telling players what they can and can not do when playing the Ukulele...aka "rulebook" statements. Liz made several valid and logical points as reasons for using a capo or avoiding several barre chords. I have diabetic neuropathy that limits my ability to play many barre chords and I find alternative chord shapes, 2nd positions or work arounds ("cheats" as you called them) in order to play them in a song. I teach my students the proper chord shapes, but also show them alternatives that they can use until they can handle the barre chord better. That also includes using a CAPO!! The thought that the use of a Capo on Ukulele is somehow an UNFORGIVABLE SIN when there are many valid reasons and situations to use one. 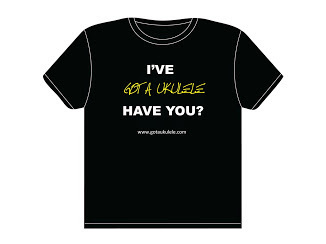 It is condescending and elitist in nature, as these statements often from self-proclaimed "experts" and "purest" players in both the guitar and Ukulele community. The list of world famous artists that use a capo on their instruments (including ukulele players) is endless. 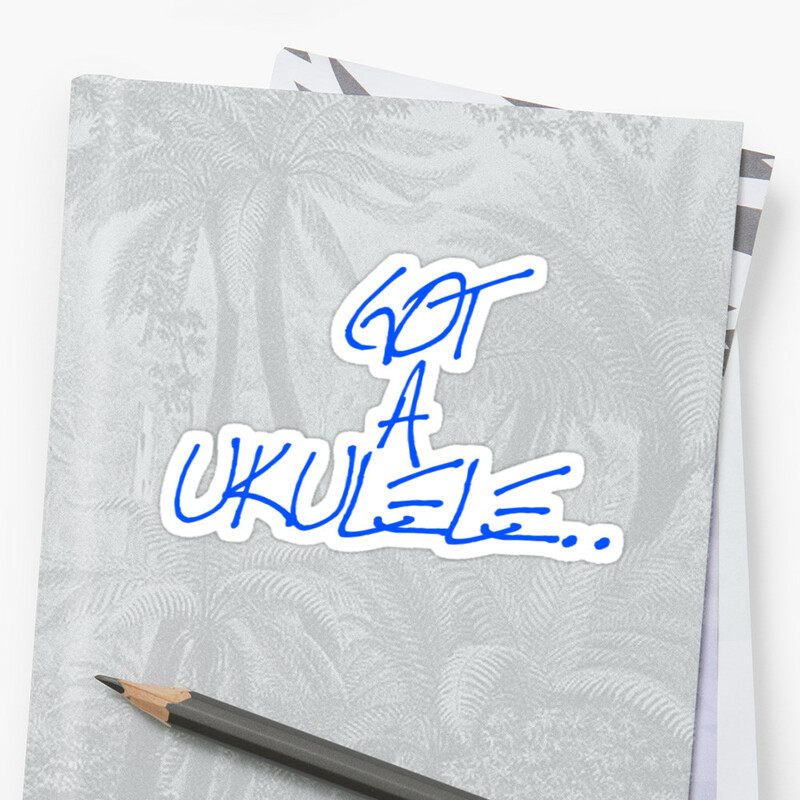 The SHAMING of ukulele players against the use of a capo, even if it's just because it's EASIER, is close-minded and is contradictory to what I believe is the purpose of your blog. Your original intent of the article, (which you stated in one of your reponses in that article) was to encourage players to not avoid barre chords or learning how to transpose keys (rather than use a capo), was totally lost in the original article's overall tone and your dismissive respones to readers legitimate comments about the article. 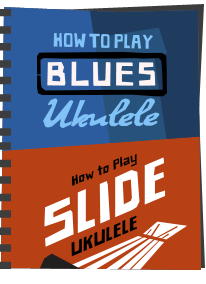 Please follow your own advice and don't try to write your own version of a "Ukulele Rulebook"
Thanks for you thoughts, as you still make some very important points concerning the past, present and future surrounding the MIGHTY UKE!! I didn't feel I was dismissive at all but there you go! I just think it is better advice to learn to play barres than not to learn to play barres - basically because they open up so much music. People can play what they like and how they like and I wasn't telling anyone what to do - more a case of telling others to stop telling people to avoid them. I remain of the view that actively teaching cheats will only hold people back further down the line. And if you actually read the post again - I was not shaming anyone - I was shaming (or attempting) to shame those who preach only to use the cheats - something I see a lot of on social media these days. Of course there will be exceptions, but this is a very general blog and in the majority of cases there is no need for people to avoid a barre. In short it was not aimed at the players, more at the pseudo teachers. I am in total agreement with you that no limits exist on the types,styles, genres and/or categories of music appropriate for the ukulele. 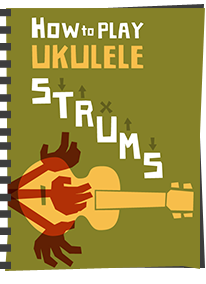 A look at many of the earlier ukulele instruction books and songbooks with ukulele chords suggests that the same view was held during the 1920s and 1930s, on into the 1940s and 1950s. I am sure, however, that those eras were also plagued by various versions of ukulele police communities. As for the capo controversy: I think that some highly talented musicians do assign a high premium on their ability to get by without ever using the device, and that's OK. I recall reading about the late Don Reno, a fabulous bluegrass musician, who was said never to use a capo and he was primarily a player of the 5-string banjo, as I recall. The gist of the articles I read was that Reno took no small measure of pride in this ability, which I think was well-deserved, but should not be construed as advice to others who might have the time or talent to make that happen in their own music. You are 100% correct in urging all of us to attempt to master the barre chords because they do offer so many other advantages which you described in your blog. Finally, a suggestion/request to you, Barry: Since I have yet to find any comprehensive analysis or review of the Goya ukuleles which were distributed by Martin Guitar Company while they were not making ukuleles, would you consider looking into that and doing it yourself or if it has been done (but has escaped my notice) provide a link? I have found only brief references to them online. I believe they were made in Taiwan with a paper label inside indicating distribution by Martin. Not sure how long they were distributed, but I would like to know more about their quality, especially compared with the ukuleles made by Martin. Also would like to know if these included any models other than soprano. You had me at Bum Head. This is so refreshing to see someone naming all the precious behaviour that has accumulated around what is really just another instrument (albeit a wonderful device). I didnt even know there was a "community" or a "revival" when I started exploring uke's potential years ago. I'm an entirely self-taught musician and have no training in theory, so I experience the uke, with its alien tuning and minimal parameters, as a brain machine, as I explore and discover new patterns it's a very personal process of strengthening my neurology, and helping my mental health. My favourite advocates of uke irreverence are New Zealand's Serious Muffin Band, and associated projects The Weatherspoons and Goulash Archipelago, who are both musically sophisticated in their use of uke instrumentally - not spotlighting it, but complementing the overall sound, and retaining a sense of the absurd. As a private enthusiast who tried engaging with the Australian "uke scene" and played a couple of festivals, I soon discovered all the human ego foibles you have described, and the level of star idolatry, brand idolatry and cliquey schoolyard antics was pretty appalling. I play bluegrass on a balalaika because it sounds like a dulcimer. I play baroque on a mandolin because it sounds like a harpsichord! It's all music. Thanks for all your perspectives, I'm really getting a kick out of reading your rants! These things need saying! As a newbie to the UKE world I enjoy learning chords and playing around with the circle of fifths. I'll take a song I like and sort of follow the tabs but just play around and have fun; after all isn't that what music is supposed to be? I want to be a better player and I do slog thru hours of chord progressions and strumming patterns but when I play I tend to lose track and just go with it. I see capos are getting an airing here, and there are plenty more views on that online! I'm sure Baz you would suggest people try them if they would like to!